When people talk about how to make money blogging, their descriptions make the entire process sound easy. While there are indeed six-digit bloggers somewhere around the world, the majority of blogs out there find themselves struggling to earn even a few dollars a month. Don't be one of them. Your site may have 1,000,000 hits, but expect those hits to steadily decrease if you do not reach out and find a new audience. You can do this by actively participating in venues around the Internet. Forums, marketing sites, affiliate reviews, and even other blogs are excellent ways to increase the presence of your blog. Keep tabs in what's happening in these sites, and make sure you make your fair share of posts in these sites to advertise your own blog. Just remember not to advertise your blog too blatantly, as you may end up getting kicked out of these venues. No one cares if your pet dog died or your girlfriend/boyfriend broke up with you, at least none of your blog visitors. People visit blogs to learn something new and to avail of a service, not to listen to your personal grievances. That does not mean, though, that you should not inject a personal quip here and there. Just make sure that you do so in a constructive manner that will catch the attention of your readers. Do not treat your blogs as 'fire and forget' projects. The more frequent the posts are in your blog, the more readers will keep checking back to see something new. They are hungry for information, and it is your job to keep that hunger fed. While daily posts are ideal, even more frequent updates keeps the readers on edge and constantly visiting your site for news and relevant information. Remember that search engines are your best friend. The most likely way for a reader to find your blog would be to use a search engine to find keywords associated to your blog posts. Work around a set of keywords and insert them decisively but sparingly around your blog post. Just remember that search engine optimization is not about flooding your post with keywords. Use them three to five times in your article, and spread them every hundred or so words. Nobody likes intrusive pop-ups, and don't think they will help keep your readers around. While ads are the primary ways in which you earn with blogging, remember to keep them in areas that are readable and non-intrusive. Keep them in check, and avoid pop-ups or screen-blocking advertisements if you do not want to turn off new visitors to your site. Stagnating visitor counts, irrelevant posts, no updates, poorly optimized posts and ad-bombs are the five most common mistakes people make when they construct their blogs. Keep them in mind, and you will be free to make money blogging without a hitch. And now I would like to invite you to claim your free instant access to [http://www.expertwordpress.com]Expert WordPress blog installer package that will enable you to create a blog as described above even if you never created a single page! 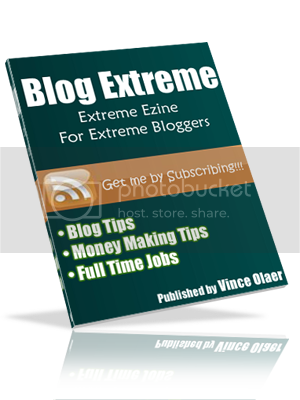 Presented to you courtesy of Alex Sysoef it will teach you proper way of blogging to make money.